The winner of the Ace Cafe London Reunion Weekend is Don Giles from Panama City, Florida. Don entered the contest while at Ace Corner Barber at the Barber Vintage Festival in Birmingham, Alabama. His trip includes airfare, hotel, ground transportation and some cool Ace Cafe swag – all compliments of Ace Cafe Orlando. 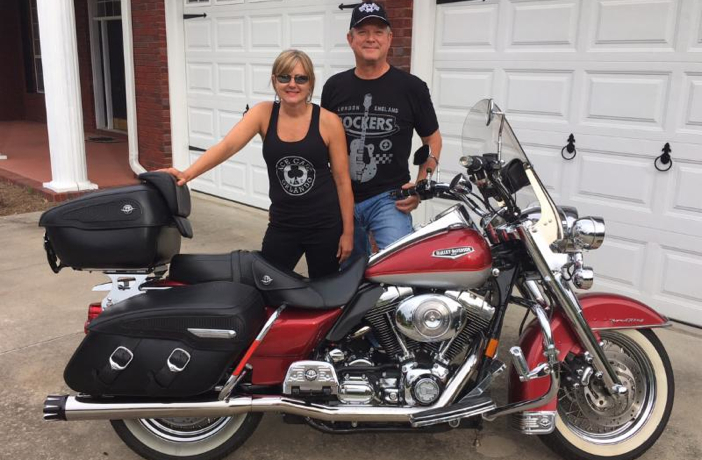 Don is a true motorcycle enthusiast who enjoys customizing his Harley-Davidson and touring the South. “Most of my riding consists of rides around town, and 100-125 mile rides through the countryside in northwest Florida and south Alabama with a group of fellow riders,” says Giles. “I’m very excited to visit London and the Ace for the “World’s Coolest Motorcycle Event!” 2nd place winner of the sweepstakes is Bob Monroe, who won a set of Metzeler Vintage Tires and some Metzeler swag. Three 3rd place winners, who each won a $100 gift certificate to Ace Cafe Orlando, plus the classic Ace Times Coffee Table Book, are Fallon Mosley, James Johnston and Royce Guthrie.